Recent violence in Tanganyika has displaced thousands of people who are now living in and around Kalémie. Among them are many children separated from their parents when they fled. Tanganyika province in south-eastern Democratic Republic of Congo (DRC) has been plagued by intercommunal violence for over a year now. 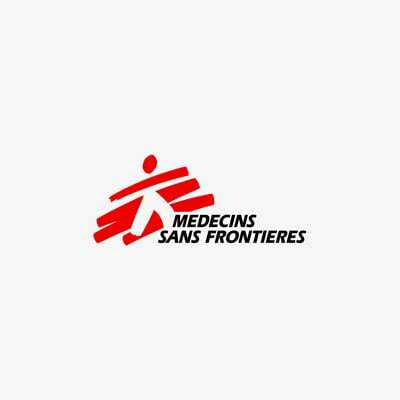 With a resurgence of old conflicts forcing people from their homes and the arrival of the rainy season, Médecins Sans Frontières (MSF) is growing increasingly concerned about the living conditions of those displaced around Kalémie. More than 500,000 people are currently displaced in Tanganyika province. Around half of them are living in and around the town of Kalémie. In the last month, some people in settlements outside Kalémie were forced to flee due to violence and sought safety in the town. Those who had no relatives or friends to stay with are now in the school buildings or compounds of Moni, Filtisaf, Hodary and Lubuye. Living conditions are unacceptable, with many people sleeping on the ground under mosquito nets. “They have survived several attacks and have been forced to abandon their previous shelters. Each time, they lose some possessions and many have nothing left,” says Stéphane Reynier de Montlaux, MSF emergency coordinator. The authorities want the displaced living in and around the school buildings to be relocated before classes resume, and their future remains uncertain. MSF has been running mobile clinics since April. Teams are providing medical assistance at 17 unofficial sites that are host to approximately 210,000 internally displaced people. MSF has provided 16,410 consultations in the last three months, the majority for malaria, malnutrition and measles in children under five. Nearly half of all patients seen by the mobile clinic staff are suffering from malaria. “Our teams are providing 60 consultations per day on average, which shows that there is a high demand for healthcare. For this reason, we will soon start providing care in fixed health posts that will be open five days a week,” says Reynier de Montlaux. MSF teams offer primary healthcare, as well as maternal and reproductive health consultations, and those who are seriously ill are referred to Kalémie hospital. There are also significant mental health needs as a result of the violence, and MSF has started offering psychological support. In the five weeks since support began, there have been 576 consultations. Even though access to healthcare is being improved, there is still a lack of safe water and consequently a risk of water-borne diseases and epidemics. In order to prevent epidemics, the displaced people living in the settlements in and around Kalémie would need to receive 20 litres of water per person per day. In order to achieve this, four million litres of water would have to be distributed daily. The displaced are living in shelters made of straw that are built very closely together because of lack of space. This, coupled with inadequate site management, has meant that fires have broken out and have spread rapidly. There have been fires on at least five sites in the past month, including at Moni, Lukwangulo, Kabubili, Kateke and Katanyika. People who have fled intercommunal fighting in Tanganyika Province find themselves in makeshift sites in the suburbs of Kalémie. “The recent fire in Katanyika could have been catastrophic if it had happened at night. It’s a wonder that only a few people were slightly hurt when nearly three-quarters of the camp went up in flames in less than an hour,” continues Reynier de Montlaux. MSF is planning to distribute some basic relief items to 4,630 Katanyika households that lost everything. However, similar fires will continue to occur as long as nothing is done to improve the living conditions. With the rainy season fast approaching and people living in overcrowded conditions without access to enough clean water, a cholera epidemic is feared. The disease is endemic in this area and MSF is preparing to provide medical support in case of need. A vaccination campaign is also planned. The security situation in the area is unpredictable, and people continue to flee violence and gather in and around Kalémie for safety. The living conditions for the displaced remain deplorable, and more assistance is needed from both the authorities and the international community to provide solutions.